When you put two musical genius' together, you get one really great product! 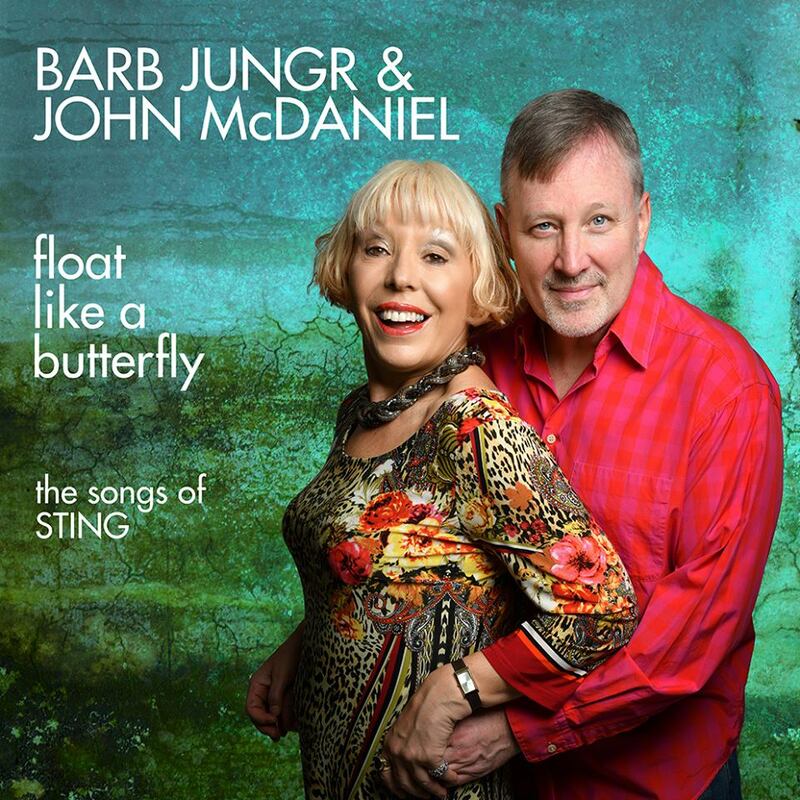 That is definitely the case with the pairing of Barb Jungr & John McDaniel! Separately they are acclaimed musicians/singers/songwriters, together they are unstoppable with what they can do. That is evident by their most recent projects, Float Like a Butterfly - The Songs of STING, a reimagined/interpretation of Sting's music as well as a new live show 1968 - Let The Sun Shine In at Joe's Pub. At the time of the interview, John McDaniel was on holiday on an island off the coast Scotland, and so Barb answered for both of them, since they have a creative mind-meld! HA HA. She did communicate directly with him about his responses. which she interpreted. Float Like a Butterfly - The Songs of STING, reinvents 17 songs from Sting’s vast repertoire of hits including music from his years as a member of The Police as well as his solo career. Click here to download! 1968 - Let The Sun Shine In reinvents some of the most iconic anthems of the pivotal year of 1968, when the Vietnam War and its protestors clashed and raged, and the U.S. saw the assassinations of both Robert F. Kennedy and Dr. Martin Luther King. The repertoire of 1968 - Let The Sun Shine In reflects the tenor of the times with titles including "Born to be Wild," "Do You Know the Way to San Jose?," "Revolution" and "Everlasting Love." With only four performances, 1968 - Let The Sunshine In will play at Joe's Pub (425 Lafayette Street) on July 21, 22, 28 & 29 all at 7pm. Click here for tickets! For more on Barb and John together follow them on Facebook! 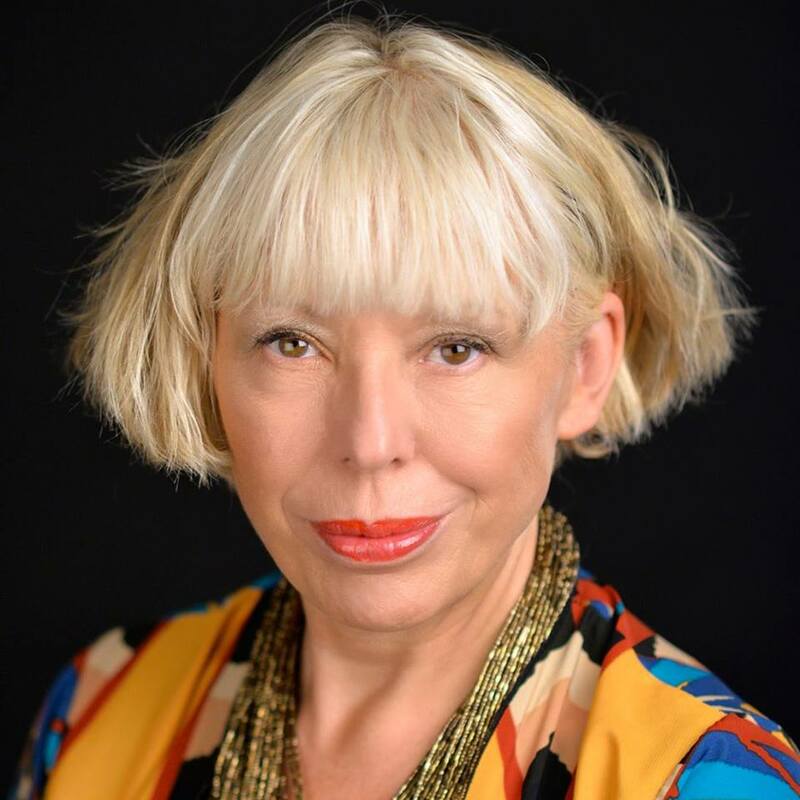 For more on Barb visit http://www.barbjungr.co.uk and follow her on Facebook, Twitter, and Instagram! For more on John visit http://johnmcdaniel.com and follow him on Facebook, Twitter, and Instagram! 1. This July you are bringing your new show 1968 - Let The Sun Shine In to Joe's Pub. What made now the right time to premiere this show? It's the 50 year anniversary of 1968, which was not only an amazing and interesting and politically on fire year but also the year that Hair premiered at The Public. The Public has hosted me every summer - for some time now - so it seemed the right show at the right time, and then Berlin were also interested in it - that sealed it for us. 1968 was a huge year for me personally because I turned 14 and somehow everything that was going on was in technicolor for the first time. You have to understand I grew up in the Northwest of England and things were still quite grey and industrial in those Northern towns. That burst of Haight Ashbury might have dimmed in the States but it was reaching us in full intensity. So this anniversary felt like a really good launch pad to discuss the past in relation to the sadly little improved present. 2. Why did you want to focus on 1968? How do you feel the songs of that time reflect today's world? They don’t - they reflect the year they are in BUT thats whats interesting and, for us, really important - suddenly you hear them in THIS time and they either retain their relevance in a way that makes us think - nothing changes, or as the French would say plus ça change, plus c'est la même chose," or they suddenly have a resonance which reminds us of the innocence of that time and we see the cynicism of now. We started looking at Revolution, The Beatles, and Street Fighting Man, The Stones, and Love Child, as Tamla (a subsidiary label of Motown -Tamla Motown - the brand used outside the US) began to investigate social issues. Something was opening in popular music right there, ideas, creativity. It was an electric time. 3. What songs did you know right away you needed to include in this show? Well, "The Flesh Failure - Let The Sun Shine In" was obvious right from the get go, as of course it is from Hair. As is - also for us a total YES, “Aquarius." Then there was a Dylan which hooked me into something very particular "This Wheel’s On Fire" because of course here it was sung by Julie Driscoll as she was then, Julie Tippett now, with Brian Augur and The Trinity, a really wild jazz blues extravaganza and for John, "Son of a Preacher Man," which, sung by a man suddenly opens the meaning very wide. 4. If each of you had to choose one song from your set to be your personal anthem, which song would you choose? Mine would be "Born To Be Wild." I think John’s might be "Son of a Preacher Man." 5. Let's play with the title of the show for a moment Let The Sun Shine In. What is one ray of sun shine you let in to your lives everyday to get through these troubling times? Meditation and music. And of course its right there in The Flesh Failures - “silence tells me secretly, everything, everything” and I don’t know how I could do a day without some music someplace in there! I love landscape, the natural world. I’m a sucker for a run by the river or a walk on a beach. This morning I saw my heron friend in the Thames and we shared a moment. Both John and I are big on family. For both of us, those personal relationships are key to our experience of life, daily. So in no order, family, music and nature. John is on Long Island and he gazes at the sea when he plays the piano. I think that tells you everything. 6. When did you first realize you should combine your musical talents and work together? John saw it first because he saw me in NY and has a great story about it where he heard me sing and said, “I must know this woman,” so he came and said "Hi," and then we worked together in Connecticut. And then we became friends and something just connected for us musically - for me it was when he asked me to come and work at The O’Neill Theater Center in Connecticut where he is Artistic Director and I realized he was musically the bees' knees. A genius pianist, arranger and composer. Then I found out he could sing and we could work in harmony and then, that was that. We are now bound for eternity. 7. Another project you have going on is the newly released album Float Like a Butterfly - The Songs of STING. Out of all the artists out there, what is it about Sting's music that made you want to make your own recording of his music? It's his 40 year career of extraordinary songwriting which has been, I think, overlooked because we think of him as a pop star. But his songs are art songs, they are beautiful jewels, and of course he was a teacher and is a great thinker and its all in his songs. They are also melodically so different for us from the Beatles which we explored before. When we began working on them we found a musical language and a frame for the songs, and they drew us in. I think also this project marks a huge development in the way we use harmony and text together, as a collaboration we grew through this. We are super proud of this recording, and it was recorded in London by our great friend Christoph Bracher on his superb piano, and the sound is delicious. 8. What was the most challenging part about recording his music? Finding our own way into it - though that happened effortlessly and quite quickly which was a joy and a pleasure. Also Sting lyrically takes an idea and explores it patiently, by altering, subtly, strands of it. He is a really interesting and beautiful lyricist. I’m a really picky person when it comes to words. I grew up on the strong stuff so I care about rhyming patterns and word rhythm, syllabic stress and the way words paint. So doing that justice, that’s a challenge. 9. My favorite Sting song is "Fields of Gold." What's inside your "Fields of Gold”? The joy of that English story. As we have just been touring I pointed out to John the golden fields of summer. It's something we love and understand, and he draws both on that, and the tradition of the English folk song, and then builds this vignette out of the slow changing of the fields and life and the turning of the wheel. I think it's a work of genius. There’s something about our relationship to landscape in song, because of seasons, because of our weather, and the colors of our countryside. These are deep things and they are honored in this song. 10. This last question is for John because I can't do an interview with you and not ask about The Rosie O'Donnell Show, one of my all time favorite talk shows. In looking back, what do you feel the show did that no other talk show has done before or since? Barb says: John’s on an island in the middle of the sea up in my beloved Scotland where I was a month ago, so I can say that when he did Rosie he got to play both with and for most of his musical heroines and heroes. That was enormous for him and I think also it’s how he swims so easily through a lot of musical waters, he loves them all. I think Rosie opened up the Musical Director place and John flew like a bird. He still flies like a bird! Across her 40 year career she has been internationally acclaimed for combining immaculate vocal technique, impassioned performance, piercing insight and beautifully unexpected musical arrangements to reinterpret European and American popular songs in a manner which The New York Times described as ”revelatory”. As a live performer, Barb Jungr is always funny, and often hilarious. Like, intentionally. Cabaret Scenes described a performance in November 2016 as “the funniest hour of cabaret I’ve ever seen” from a “world-class raconteur.” Over the past couple of years she has combined her solo work with performances as one half of a double act, for the first time since her legendary collaboration with Michael Parker in the 1980s. Teaming up with the horribly gifted John McDaniel, they have worked together to create an increasing number of very special shows. When paired with Barb, John is a pianist, singer, arranger and partner in banter. He doesn’t even need to bother employing his vast experience as a conductor, a composer and a Tony, Grammy and Emmy Award-winning producer of theatre, albums and television. After a childhood spent putting on shows in the basement of his home in St. Louis, Missouri, his only option was to metamorphose into Mr. Showbusiness. 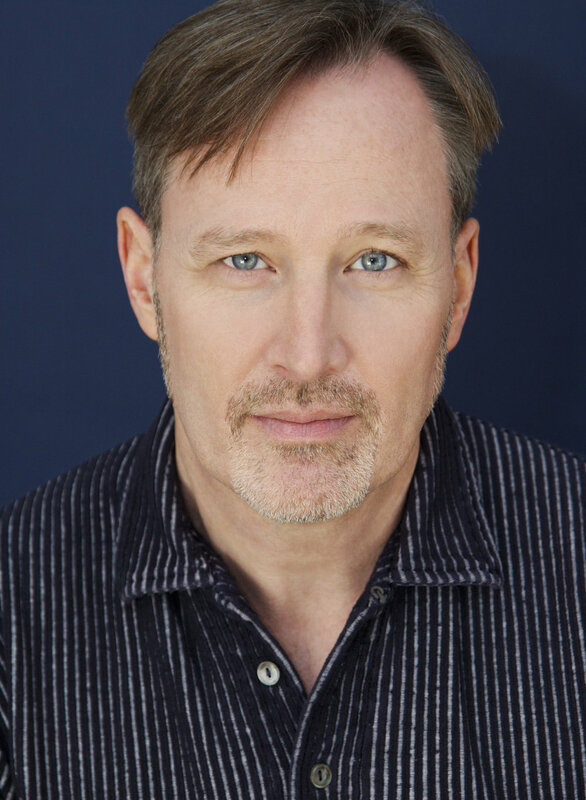 And so it came to pass that he has worked on Broadway as a conductor, musical director, and musical/vocal arranger. He has accompanied stars including Betty Buckley, Tyne Daly, Brooke Shields and Patti LuPone, whose 1995 one-woman show he arranged and conducted. He also spent seven years in living rooms across America as the Musical Director and bandleader on The Rosie O’Donnell Show.